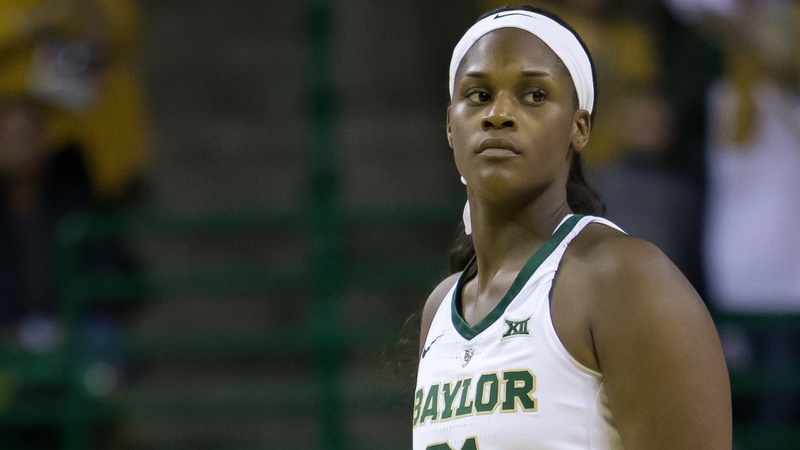 WACO, Texas – Senior Kalani Brown and junior Lauren Cox represented Baylor University and the Big 12 on Monday night’s late announcement of the John R. Wooden Award Late Season Top 20 Watch List. Both players earned spots on the preseason and midseason watch lists and will now be eligible for the award and the Wooden Award All-American Team announced during the week of the Elite Eight round of the NCAA Tournament. Brown and Cox spearhead the Lady Bears’ 2018-19 effort that has Baylor ranked No. 1 in the Associated Press and ESPN/WBCA Top 25 polls. Baylor is 5-1 vs. the Top 25 this season and carries a 20-1 overall record and a 10-0 mark in Big 12 play. Brown, a finalist last season, averages 15.8 points, 7.2 rebounds and 1.6 blocks per contest while shooting 62 percent from the floor. Cox averages 12.1 points, 7.2 rebounds, 3.6 assists and 2.4 blocks per contest. Baylor next takes the floor Saturday vs. TCU at 1 p.m. at the Ferrell Center in Waco.